Ads are officially coming to Snapchat, in a form the company says is not "targeted," but Snapchat's own terms of service suggest it could do something very much like that. The first ad will appear this weekend in the U.S., in the "recent updates" section of the app. That means it won't be pushed to users like a personal message, and users can choose whether to open it or not. It will disappear after it is viewed or within 24 hours, the same way the "Stories" feature works, the company said Friday in a blog post. The company did not say who the first advertiser would be, and a spokeswoman declined to comment further. How Snapchat will determine which ads to show users is not exactly clear. The company said its ads would not be "creepy" or "targeted," probably an allusion to Facebook or Google. However, the best ads should promote "stuff that actually interests you," Snapchat said in its announcement. The spokeswoman declined to comment on whether the company will use any information about users to choose ads for them. But Snapchat does have a decent pot of data on some users that might be employed for targeting ads, even if the company doesn't like the word "targeted." According to its own terms of service, with users' consent, Snapchat may collect users' location data and information collected by cookie files and other tracking technologies. The terms say Snapchat may "provide advertisements, content or features that match user profiles or interests." Whether the arrival of personalized ads would raise privacy concerns among users and turn them away from the service is harder to say. 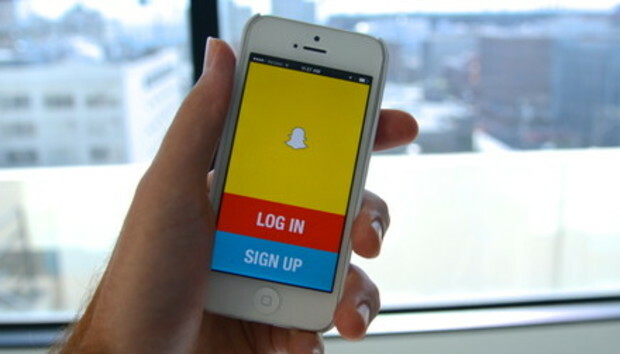 Snapchat has come under hot water over privacy concerns tied to data breaches. One recent incident revolved around leaked photos, though Snapchat has blamed a third-party service that has since been identified as Snapsaved. Snapchat was clear, though, on why it's starting to run ads. "We need to make money," the company said Friday. Mobile ad spending is expected to total nearly $19 billion in the U.S. this year, according to eMarketer, up 78 percent from last year. What's your IT department's strategy for website downtime? Kevin McGibben (Global) - Penny for Prevention or a Pound for the Cure? Why Every Company Should Immunize their IT System.